At Jaydeep Steels, we produce and supply state-of-the-art quality Stainless Steel Pipes & Tubes in India, as well as worldwide. 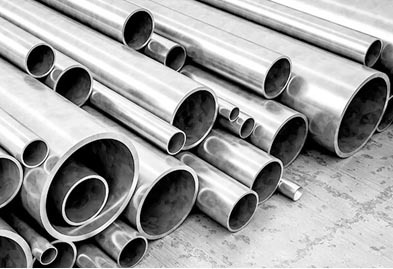 Over the years, Jaydeep Steels has grown to be one of the trusted SS Pipes Suppliers and exporter by adhering to the international standards of production and by catering to the needs of people in a timely and cost-effective way. Stainless steel is an alloy of iron that contains chromium and other alloying metals like nickel, molybdenum, titanium, copper, carbon, and nitrogen. Stainless Steel Tubing is used in aircraft hydraulic lifts, factories, mills, production lines, fuel and heat industries, military, nuclear development, etc. The stainless steel pipes & tubes available in various grades such as 317L, 321H, 347H, 316Ti, 310 are used for manufacturing. Stainless Steel Seamless Pipes & Tubes are formed by using Water Hydraulic Hot Extrusion Press that uses hot extruded hollows or pipes as raw material. They are used in various fields like heat exchangers, Nuclear Power Plants, Oil & Gas, Petrochemical & Refinery, Chemical & Fertilizer, etc. SS Welded Pipes & Tubes are produced by methods like TIG, Laser welding, SAW, and other welding procedures. Stainless Steel Round Pipes & Tubes also come in various shapes such as oval, rectangular, hex, square or flat in shape too. They have excellent load bearing strength. 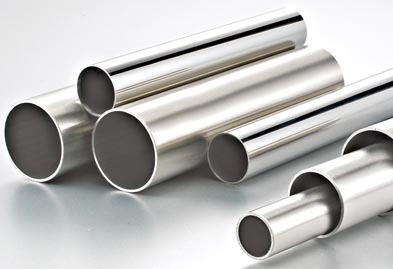 Stainless Steel Cold Drawn Pipes & Tubes are prepared by using Die plugs which helps in drawing the tube or pipe, which are coated with oxalic and soap solution for lubrication purpose, over the bench. Wall Thickness Schedule 5S – Schedule XXS. Jaydeep Steels stocks a wide range of materials and grades. Below are a list of all standard stainless steel pipes and tubes materials and grades we stock. Our experienced team of metal experts will get you the metal you need when you need it. Call us today for your Stainless Steel Pipe & Tube Needs!